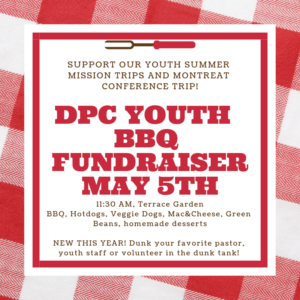 Support our Youth Summer trips at the annual BBQ lunch fundraiser on May 5th, 2019! 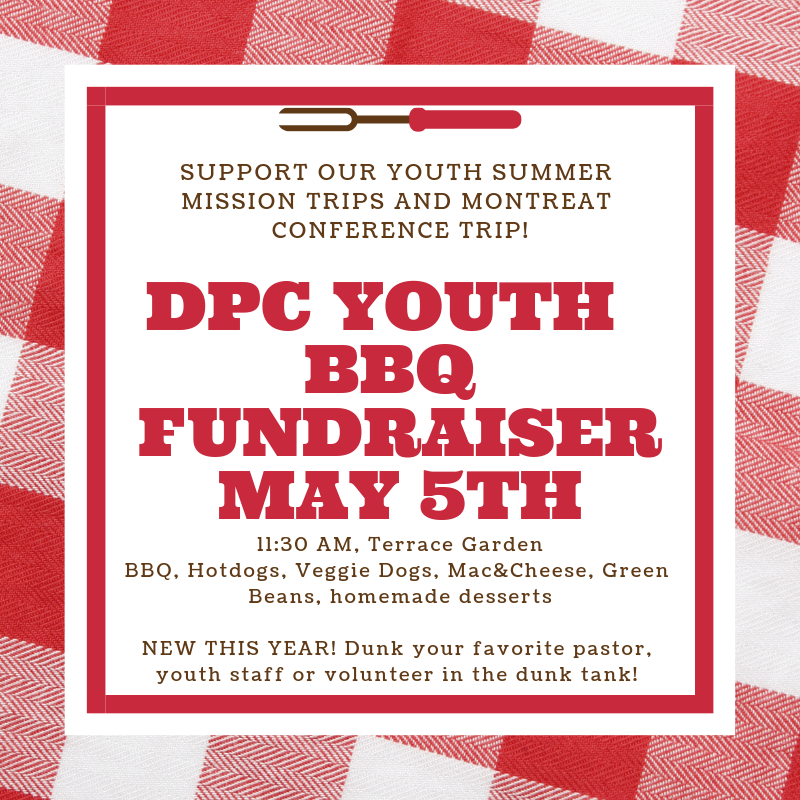 In addition to making a donation for your plate of food you can make an additional donation to see your favorite pastor, church staff member or youth advisor dunked in the dunk tank! 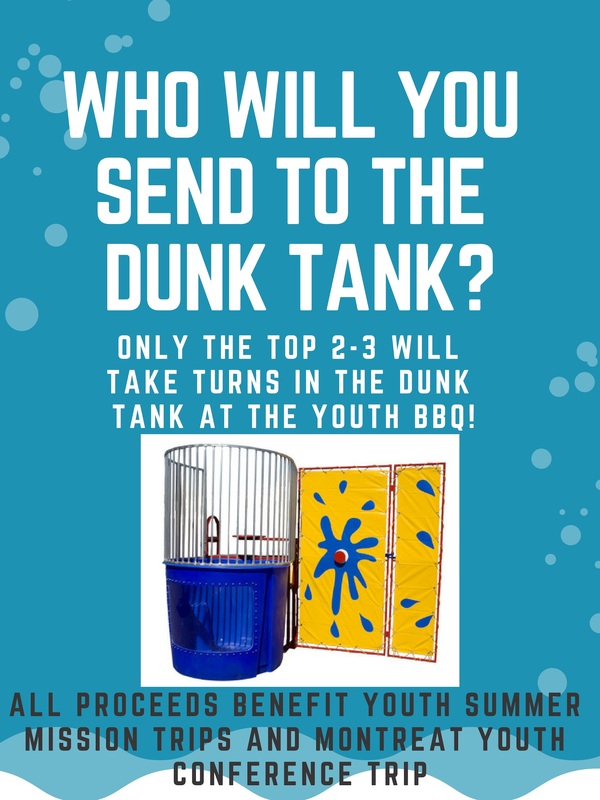 The TOP TWO/THREE people with the most money donated towards their name by May 5th will be put into the dunk tank at the Youth BBQ Fundraiser! 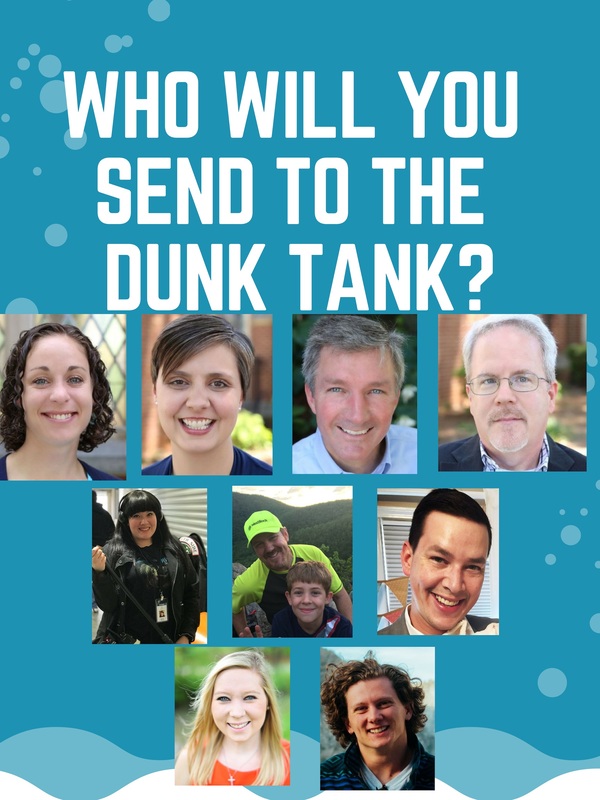 Check social media and church announcements each week to see who is in the lead and likely to get dunked. Tickets to throw at the dunk tank as well as plates of food will be sold on the day of the BBQ, May 5th. 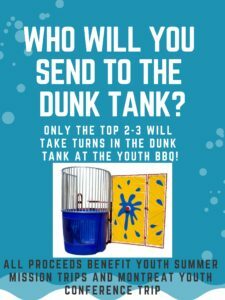 Who do you want to see in the dunk tank?! Make sure you click on the name from the drop down menu of the person you’d like to have dunked when you complete your donation!